What does it look and feel like to reach the state of constant contentment as a Muslim? You have mastered yourself. You notice yourself when you are not feeling content or calm. Any feeling other than content, calm, and happy means that you need to make a change in your thinking. You check yourself. Yes, your negative feelings are often justified. Yes, you do have valid reasons for when you are not calm and content. But you have made the decision to be calm and content no matter what. How you do that is that you focus on solutions to your problems and negative feelings. Sometimes, your negative feelings / problems are so unimportant that you are able to notice the negative feeling, accept it, and then automatically shift yourself to your state of calm. And then there are some problems/negative feelings that you have to deal with. You actually have to work on them. But because you have faith in Allah, you are able to focus on the solution more than on the problem. You have realized that your negative feelings are caused by some thought that you really believe in. 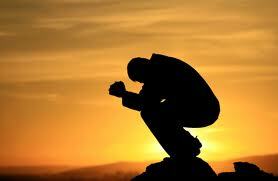 Strong negative feelings are caused by your strong beliefs that you don’t even realize might be wrong. What you must do is become calm, then try to get to the bottom of what your belief is, that you think is a fact. And if this belief is bringing you down, then you must know that it is not a fact. You must find a way to replace this opinionated negative thought with a positive thought that could be just as “true” as your negative thought. When you are a Happy Muslim, you are inner directed. You are able to lift yourself up when outside circumstances (such as a rude comment) bring you down. Yes, we are affected by our outside circumstances. But a Happy Muslim is aware of this, and is also aware that allowing the outside stuff to keep you down is a waste of time and energy and prevents you from being a productive Muslim. When you are a Happy Muslim, you are always thankful. You are thankful for your life, the good people in your life, the conveniences you have, and the good qualities you have. You finally get the message that life is a gift. When you are a Happy Muslim, you feel clear-minded. You use your intelligence and the gift of rational thinking. You accept that you don’t know everything and that life can be a bit confusing sometimes! But you also know that you were never meant to have all the answers. You also know that you are already good enough. You are good enough now and you don’t need to prove yourself to anybody. Your main goal is to be true to Allah (swt). If you are on the path to being true and dutiful to Allah, then you are going in the right direction. You know that you will never be perfect–we are humans, not angels–and Allah is truly the Most Merciful, Most Forgiving. A Happy Muslim exercises everyday and tries to maintain a healthy weight and overall good health. Physical health is important to a Happy Muslim, as well as spiritual health. Happy Muslim stops using his or her past as an excuse for his or her present. The past is over with. It is finished, gone. You have changed from then. Why dwell on the past when this entire life will feel like a day or part of a day when we transition to the next world? And of course, a HAPPY MUSLIM practices the 5 pillars of Islam, and is HAPPY to do them! HAPPINESS HINT: Understand that when you bring yourself to a state of inner peace and happiness, it will be easier to solve any problems you are facing. 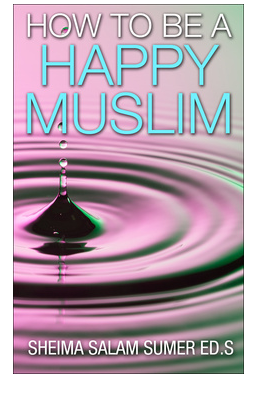 How to be a Happy Muslim E-Book just $2.99 this Month Only! keep moving , May Allah increase you in knowledge. Wa iyakum! Thank you for your positive words. May Allah (swt) reward you and increase you in knowledge too!